Of all four seasons summer is the one men love the most. Why? Try to guess. No, it is not a vacation or a chance to sleep in that they are looking forward to. And neither it is the opprotunity to show off their six-pack that they are so happy about. I doubt most of them have any to be proud of. All right, I will no longer torture you with my elaborate riddle. This is it – hot and sunny summer is when we, ladies, bare our appetizing body parts. And, please, show me a guy who would not enjoy the beautiful view of long, slim legs. I am pretty positive, the first word that comes to fellow’s mind when he thinks of summer, is Shorts. Well, probably Girls comes before. Anyway, if you want to impress and delight all the guys around you, read on to know more about 10 most mind-blowing shorts trends of this season. Shorts are no longer considered to be a sporty item. This summer essential has so many variations now, that it is hard to choose one that fits you the best. 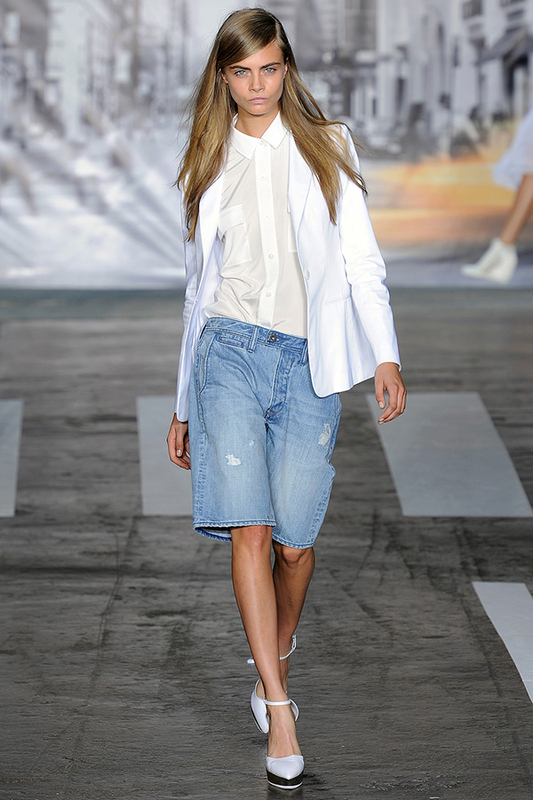 Here are 10 hottest trends of this Shorts season to help you find your outstanding pair! Lace shorts are considered to the best invention of the year. You can wear them with wedges and slingbacks or pumps and scarpins, anything you choose will create a glamorous party-all-night look. For a more casual outfit you can combine this fine piece of clothing with flats or low-heel sandals. Neon is popular this summer, so getting a neat pair of neon shorts will add to your trendy collection. Bright yellow, fuchsia, green, orange, and turquoise are colors you are looking for to stay in the spotlight all summer long. Beautify the blue sea and yellow sand with your presence! High waisted shorts emphasize your slim waist, but you have to be careful with this item. Not everyone has a privilege to wear such shorts, for there is a bad chance to make your bottom part look bigger. So if you are planning for this purchase, make sure you have a friend to convince you or, on the contrary, discourage from buying the trendy item. Various prints also look very saucy. Classic black and white or pretty floral shorts are easy to combine with tops and shirts. Any accessories along with clutches and minaudieres will complete your stylish look. Don’t be afraid to play with colors, you no longer have to match your shoes with the bag. The best way to look even hotter is to opt for leather shorts. They can be black or of any other color. Just be aware that this item stands out itself, and if you choose a brighter version, it can kill the look. Add some metal bangles or a leather glove and here is a cool 80’s grunge style! Shorts suit is another newfound of this season. It is an awesome solution to looking-classy-or-feeling-comfy dilemma. If your employment contract does not have a dress-code section, go ahead and get a couple of fancy suits! A pair of denim shorts is definitely what you should have in your closet. You can combine your Boyfriend or bermuda shorts with all kinds of shoes, tops, and jewelry to create fresh and different looks. A stylish combination of shorts and a skirt is skort. This version reminds you the actual shorts the least. Seems like it offers men around you some kind of a mystery to solve. Don’t give any clues, the more secrets you have, the more you appeal! Here comes my favorite pair of a gorgeous summer attribute – embelished shorts. The moment I saw that tiny piece of white fabric with blue edges that are embelished with glistening rhinestones, I called my friend to arrange shopping for the weekend. 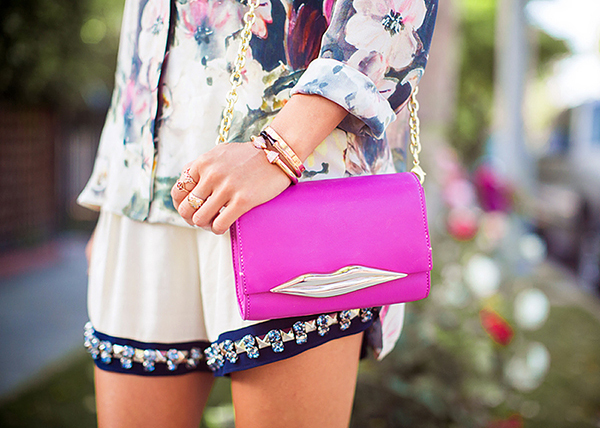 No doubt, I am in deep love with these beautiful shorts! Have you made up your mind on the shorts of your dream? If you have, don’t waist your time, join me in this exciting search!